You know when you see a picture of something for the first time and it's amazing and then you keep seeing similar pictures and after a while it wears off and stops being amazing? Well, this is not one of those things. 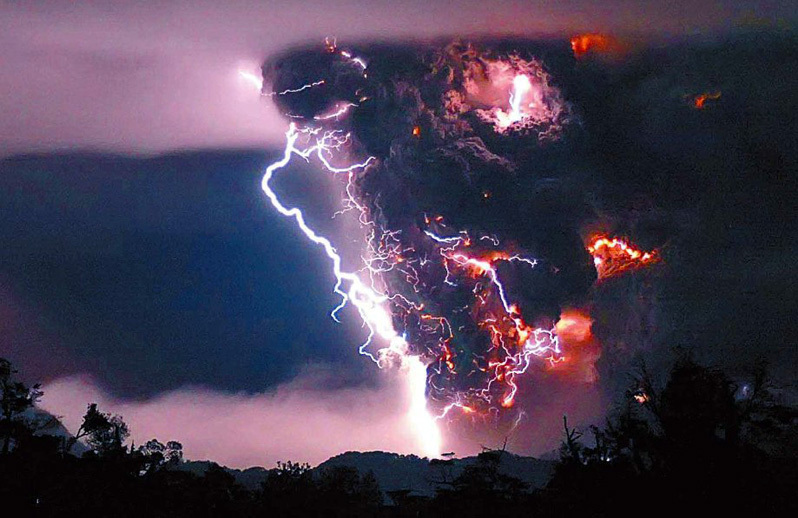 Yes, I realize that there are perfectly straight-forward scientific explanations for this stunning and jaw-dropping phenomenon -- "A lightning bolt is nature's way of balancing the charge distribution," says this piece on Volcanic Lightning from Discovery.com -- but I don't even care about that. Just LOOK AT THEM! Truly, "how great Thou art!" Attribution(s): All images are the property of their respective creators and are embedded rather than uploaded. Be sure to check out the originals, as well as the rest of their work.